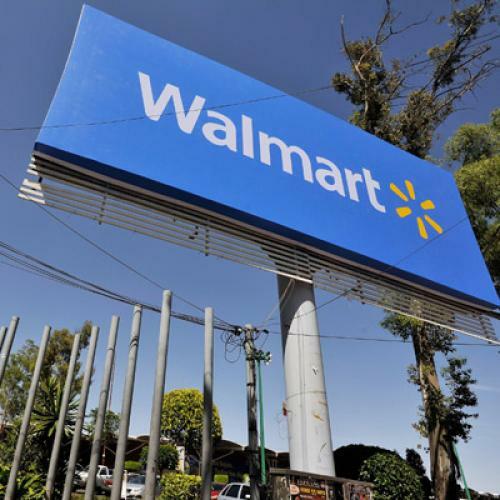 When the New York Times reported last month that Wal-Mart had brazenly been bribing government officials in Mexico, the public responded with anger. According to the Washington Post, the outcry forced the U.S. Chamber of Commerce to slow its campaign to water down the Foreign Corrupt Practices Act (FCPA), the 1977 law that bars payoffs to foreign decision-makers in exchange for business. The agitation also led to a 5 percent drop in the price of Wal-Mart stock. But one group seemed decidedly less bothered by the reports of Wal-Mart’s misdeeds: corporate America. In an interview with CNBC, for example, Warren Buffett brushed off the accusations against Wal-Mart as same-old, same-old; his confidence in the company had not changed a whit, he suggested. That corporate executives harbor decidedly less reverence for the FCPA than the greater public has partly to do with their own self-regard as realists who must bend the rules if they are to succeed on the world’s frontiers. But it’s also because recent experience has taught American executives that they have little to fear from the law: They are unlikely to be caught bribing foreign officials, and even if they are they have a strong chance of beating the rap. This wasn’t always the case. Until about a decade ago, American multinationals and their executives seemed to be terrified about being caught bribing a foreign official. There was stigma of corruption to be worried about as well as the inevitable hit to their share price. But there was also the possibility of prison. When I was covering the energy industry in the Caspian Sea region in the 1990s, the faces of U.S. oil company executives would go visibly ashen when one probed the subject of bribery to local senior officials. That’s not to say such bribes didn’t occur. Payoffs were necessary to secure big oil deals—companies just insisted that they be artfully camouflaged. So great was the fear of the U.S. Justice Department in those days that when the federal government offered leniency to companies that investigated illegal payoffs made by their own executives, they readily complied. Encouraged by their white-collar lawyers, corporate executives routinely turned themselves in. But we can trace an inflection point to 2003. That was the year that James Giffen, a New York lawyer who had made a career as a skilled middleman in Caspian oil deals, was charged in what was then the largest case in FCPA history, involving Nursultan Nazarbayev, the president of Kazakhstan. The evidence was so definitive—it included the actual Swiss bank account records, turned over to New York prosecutors—that there seemed little hope for Giffen. The view among FCPA practitioners was that, short of throwing himself at the mercy of the court, he was headed for potentially decades in prison, and the end of his days as a raconteur at the Winged Foot Country Club. But Giffen decided to fight—and in doing so, he revealed FCPA to be less fearsome than presumed. Giffen did not even contest the bribery charge; he used what one might call the Chorus Line defense: “What I did for love…” Giffen explained that his actions were part and parcel of his patriotism; the whole time he was doing business in Kazakhstan, he explained, he was slipping secrets to U.S. intelligence agencies. Therefore, he presumed, he was covered—those intel analysts with whom he was engaged knew, or should have known, that one didn’t acquire such inside dope easily. It helped that Giffen’s defense meshed neatly with the politics of post-9/11 Washington, which didn’t consider bribery allegations sufficient grounds to declassify intelligence documents concerning friendly oil-rich Central Asian states. But the result was head-spinning: Prosecutors were effectively put in the position not of proving an FCPA violation, but of disproving that Giffen was an intelligence asset. In 2010, prosecutors dropped almost all the charges. But Giffen didn’t just receive an acquittal—he effectively received an apology for his trouble. The presiding judge, William Pauley, thanked Giffen so profusely for his service to the country that it momentarily seemed he might leap off the bench and give the accused a hug. The lesson was clear: If you had the nerve and the deep pockets, not to mention some chutzpah and creativity, you could defy the Justice Department on foreign bribery, and win. There are other reasons that corporate America began assuming an increasingly adversarial posture towards the FCPA in the last ten years. One factor seems to be Sarbanes-Oxley Act, a law that made CEOs and CFOs personally responsible for corporate financial statements in the wake of the Enron accounting scandal. The government had hoped the law would solicit more confessions of wrongdoing from executives. But Joseph Covington, a private corporate lawyer who ran the Department of Justice’s FCPA unit in the 1980s, claims that after the government passed the law in 2002 it ceased offering much leniency to companies that proactively created and adhered to their own FCPA compliance programs: Companies that reported their own wrongdoing received a sizable fine, all the same. Covington is only partly right. There is, in fact, a difference in the government’s treatment of companies that do and do not proactively report their wrongdoing. Last year, Aon Corp., for example, was fined $16.3 million after voluntarily disclosing payoffs in Costa Rica and elsewhere. Compare that with the Department of Justice’s treatment of Alcatel: That company was fined $137.3 million in 2010 after what the DOJ said was minimal cooperation with government lawyers. Yet it is difficult to quibble with his analysis of the difficulties that government lawyers face. Bullet-proof evidence worthy of the courtroom is exceedingly difficult to gather, particularly since by definition much of it must come from foreign countries not necessarily friendly toward such legal initiatives. Often, the foreign country must decide if it is prepared to give up a senior official for U.S. prosecution. None of this means that executives are thumbing their noses at the FCPA. In 2010 and 2011, after all, companies and individuals paid more than $2 billion in fines and disgorgement in FCPA settlement actions with the government. But over the course of a number of years, the prospect of prosecution on bribery charges ceased striking fear in the heart of corporate America. The Department of Justice may have earned some glimpse of this shift, but the greater American public probably did not. Which explains why there was such a divergence in the reactions to the Wal-Mart revelations: protests on Main Street, shrugging in the boardroom. Steve LeVine is a contributing editor at Foreign Policy, an adjunct professor at Georgetown University’s School of Foreign Service, and the author of Putin’s Labyrinth.